Thanksgiving is upon us and the team at Studio Wildcard is ready to celebrate and give players a bounty of goodies! Today launched the Turkey Trial 2 event in ARK: Survival Evolved for Steam PC/Mac/Linux where ARK's biomes are now host to savage, blood-thirsty mutant Super Turkeys. Players can hunt these brutal birds of prey, harvesting their wishbones and using them to craft an event-exclusive ornamental "Chieftain Headdress", or use their poultry-powered gains to summon the mighty DodoRex to do their bidding. 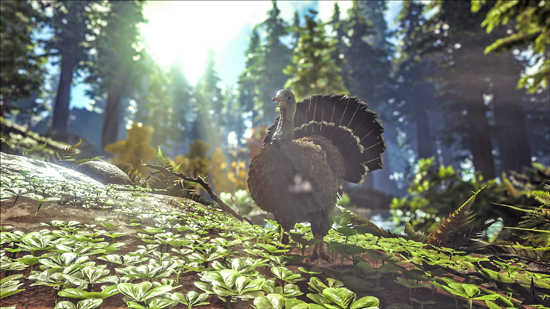 This year's Turkey Trial will feature something all new - event-specific "emotes" for players and will take place on all official ARK maps including Scorched Earth, The Center, and The Island. 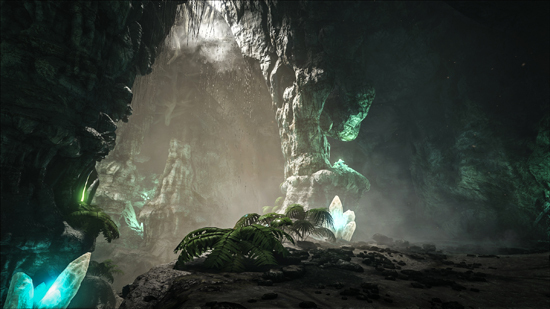 Today’s ARK update v252.0 also adds four new creatures to discover and tame, including the slimy Achatina, nocturnal hunter Megalosaurus, pheromone-spewing Pachyrhinosaurus, and harvesting-specialist Moschops! New Whistle Type: "Move To", point at an arbitrary location and tell your dinos to move there! Achatina Limusegnis: Slow and steady, that's the best way to describe the Achatina, a land mollusk standing about 2-3 ft tall. Prized by local tribes, the Achatina is often captured and tamed for its glue-like secretions, which can be used as an adhesive when building various structures. Moschops Cibumutante: While on the subject of cowardly dinos, there's the Moschops, another new addition in this update. Moschops defines fear, as in fear-ful, since the slightest provocation sends it running. This dino's "special ability" is that it can eat just about anything and do just fine. This makes it particularly useful when domesticated and trained to eat specific materials - for example, teach it to focus on chewing a specific material, and that resource will become easier to harvest. Just remember that everything scares this breed of dino and it will flee without hesitation! Pachyrhinosaurus Mitisaura: A bit of a scaredy-cat, the Pachyrhinosaurus doesn't stick around when things get dangerous, as being a medium-sized herbivore doesn't offer many attack opportunities. Its docility nature does make it useful as an easy-to-train mount for new riders, and its ability to produce a calming "scent" when in danger, helps keep survivors safe. 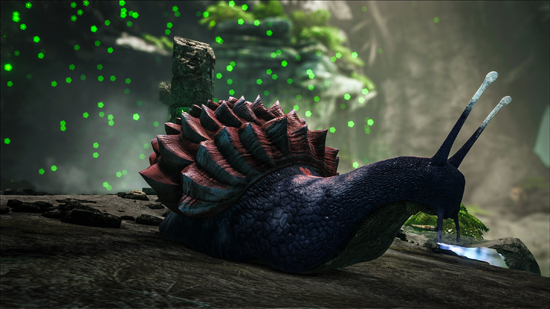 The Pachyrhinosaurus can also reverse the effect of its scent cloud, making nearby creatures incredibly aggressive, which is sometimes useful in attacking other camps.